Find jobs at Magnum Ltd.
Magnum is an asset-based logistics company with the people, equipment, and technology to provide premium service at competitive rates. 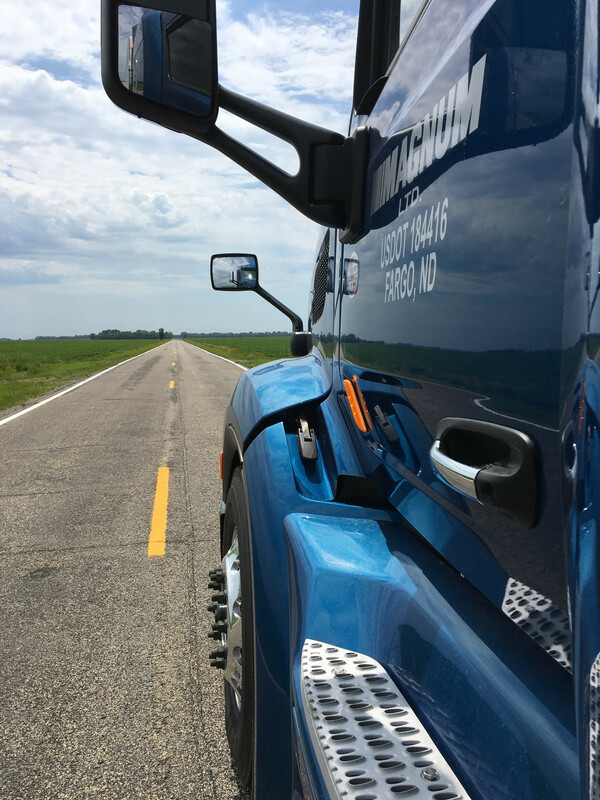 With our corporate headquarters in Fargo, ND and terminals spread throughout the country, Magnum Companies employ over 700 people. 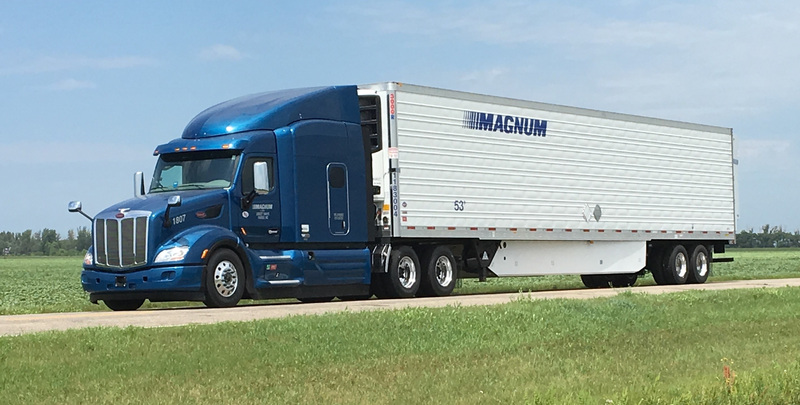 Magnum strives every day to be one of the best transportation providers in the business. We are large enough to have all the capabilities available to the industry, yet small enough to have personal relationships with our drivers and customers. Magnum is a locally-owned business with mid-west values. Magnum is an Equal Opportunity Employer and a drug-free workplace. Excellent reefer company. Top notch equipment. All trucks have fridge, APU, and inverter. Little to none micromanagement. No New England, NY, California, south west. A lot of Midwest, Northwest, and South. New equipment, no babysitting, lots of miles available, we are not held at terminals and forced to complete checklists before being allowed to depart. We are treated like adults here. maintenance does a good job, but they seem disorganized sometimes about what was supposed to get done and the history of what has been done. I'm a new driver. Within 8 months of working here I was making .50 per mile. Trucks are all blue Peterbilt. A couple trucks are different brand, but those are "experiments". Home time policy is basically go home as often as you want for as long as you want (within reason) and give 10 days notice prior. Very accommodating. New drivers to the industry start out at .36 per mile. Then we have performance pay, which is based on mileage, mpg, being on time, safety, tickets, etc. up to .50 cpm. You are reevaluated every 4 months. Hazmat is required and you get an extra .05 cpm on hazmat loads. In 8 months I've hauled 3 hazmat loads. I'm kept plenty busy. I averaged 3041 miles/week over my first 6 months. I hired on as experienced at .40 cpm, and within a year was raised to .46 cpm. That pay raise is not small increases or bonuses, but is Magnums new standard raise after a year of service. Every year after that you are raised .01 cpm. Monthly incentive bonus can earn an extra 400 to 500 dollars or more depending on how much you use cruise control, don't idle, and drive safely. Almost all Peterbilt equipment with dash cam and collision mitigation, fairly reliable trucks and trailers (Thermoking and some Carrier units). Home time is standard 1 day for every week out, 2 week minimum to go home. I stay out for 3.5 weeks at a time and easily go home for 5 to 6 days with no hassle. Weekly miles will range from 1600 on an awful week (infrequent) to 3000 miles on a good week. I've only ran up to 3500 to 4000 miles in a week a couple of times, but honestly I don't enjoy running that hard. Average is 2500 miles a week most of the year, depending on how much you contact load planners for different regions ahead of time to get different load options (sometimes they'll let you pick where or how far you want to go depending on what's available). Nearly all loads are refrigerated, with some dry hauls to keep you moving. Hazmat loads are infrequent but pay very well; Magnum will push you to get Hazmat endorsement but will pay for background check/fingerprint. Tankers endorsement is recommended as well for some bulk liquids hauled in reefer (though I'm not 100% sure about this). New trucks and trailers, plenty of work most of the time, good people. Im a local driver for the dedicated division, the only real complaint I would have is that there is a total breakdown of communication between the customer, Dispatch, drivers and maintenance. Getting things fixed is a huge pain. Otherwise small things (personal preference) all the new trucks are automatics governed at 63, the spotter trucks are either in poor shape and or bare bones ill equipped and there seems to be a bit of micromanagement but that seems standard for most local jobs. Good bunch of guys to work with, no forced Dispatch within reason, if you like to work generally and like overtime you'll fit in well. Good equipment and great home time policy. Pay is good for those who learn the lanes and stay out extended periods. Typically left alone to do your job and not micro managed. Very slow fleet at 63 mph. When corporate has a problem with certain drivers, instead of addressing the issue with them, they tend to deploy fleet wide solutions. On a personal level, everyone from dispatch to managment is friendly and generally pleasant to work with. Magnum wants to grow into a larger carrier. Time will tell how these aspirations effect drivers. 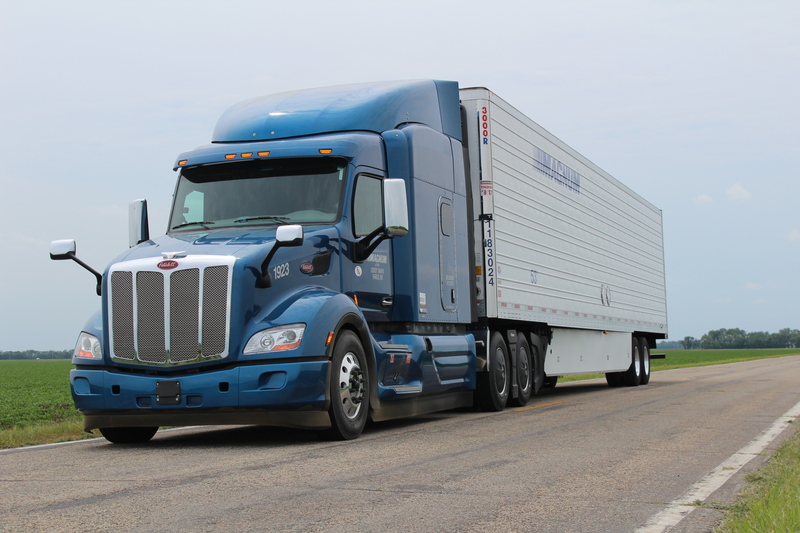 Recent changes they have made like switching to an all automatic fleet and adding outward facing cameras with a driver coaching program are reminiscent of larger carriers.